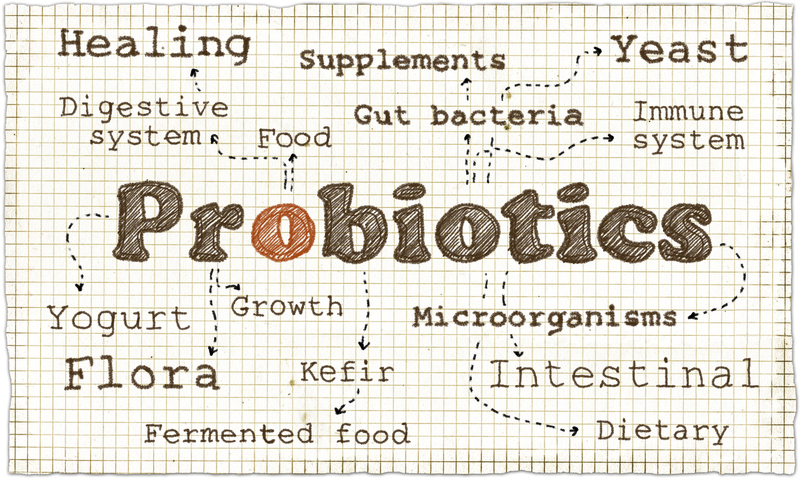 A few years ago, probiotics were only available through natural stores and specialty shops. Now people can walk into any mass merchant or grocery store and find probiotics. And probiotics have become one of the popular buzzwords associated with gut health. But are probiotics effective and do you need to take them? And does it matter which are taken as long as they are labled “probiotics”? Let’s see. Your gut contains a community of bacteria. Some are considered “good” bacteria because they play an essential role in health functions such as digestion of food, while others are foundational for the production of neurotransmitters that effect our emotions and are part of the “gut-brain-connection”. Other bacteria are part of the balance, but are not considered “good” or ” bad”. Then their are the so- called “bad” bacteria that can get out of control and cause disease. Research has shown that because antibiotics do not discriminate between the various types of bacteria, a single round of antibiotics can upset the delicate balance that exists between the “good” and the “bad” bacteria for up to two years. Probiotics are often referred to as”friendly” or “good “gut bacteria. Probiotics are live microorganisms that reside in your gut where most of the other bacteria in your body are found . Since having the right bacteria in your gut has been linked to many health benefits, use of the right probiotics can help to restore the bacterial balance and recover from the damage that may result from indiscriminate or overuse of antibiotics. Probiotics are found in certain foods and can be administered as a supplement. Foods prepared by bacterial fermentation contain probiotics. These foods include sauerkraut, yogurt, kefir, kimchi, and others. People can also take probiotic supplements. Dozens of probiotic bacteria offer health benefits. The most common groups are Bifidobacterium and Lactobacillus. Research shows different probiotics work well for different health issues. Choosing the right probiotics supplements can also make a huge difference in your gut health and overall well-being. The best probiotic supplements contain multiple bacterial groups or colonies in high numbers like the naturally occuring cultures from kefir or kimchi. But simply taking a single Probiotoc supplement over and over can actually be harmful as it can lead to overpopulation of a single strain at the expense of other needed bacteria . That is why probiotics supplementation should rotate between different colony groups. Proper testing can help identify the bacteria present in your gut and which specific strains are needed to restore proper balance. Testing can also be used after taking probiotcs as a way to measure the effectiveness of the supplementation program or protocol. Hundreds of microorganisms are found in your gut, including bacteria, viruses and yeast. This community of microorganism in your gut is called gut flora, often referred to as a forgotten organ because of its metabolic activities. Most gut flora exists in the small and large intestines. These gut flora manufacture vitamins, control certain metabolic functions, maintain the health of the gut, and stimulate the immune system. This balanced community of microorganisms helps unwanted substances from leaking into your body and causing illness or a weak immune repsonse. Unbalanced gut flora is linked to many diseases. For this reason, people are rightfully concerned about maintaining a balanced gut. Taking probiotics can help you achieve this goal. When gut flora is unbalanced, it is linked to diseases such as heart disease, Alzheimer’s, metabolic syndrome, type 2 diabetes, colorectal cancer, and depression. Probiotics can help restore balance to the gut flora as well as ensure the gut flora functions properly to enhance our overall health and reduce the risk of chronic diseases. Research has shown probiotics can be beneficial for your digestion and help conditions such as irritable bowel syndrome. People who experience ongoing diarrhea from taking antibiotics benefit from taking probiotics. And they can also minimize bloating, constipation, and gas. Studies have shown probiotics could be beneficial for inflammatory bowel diseases, such as Crohn’s disease, and Helicobacter pylori infections, which are linked to stomach cancer and ulcers. And studies indicate taking probiotics such as Lactobacillus rhamnosus and Bifidobacterium lactis may help to reduce belly fat and combat obesity. Feeling good starts with your gut flora and gut health. When you have balanced gut flora, you feel better and reduce the risk for many chronic health conditions. Probiotics are an effective way to restore and maintain a balanced gut. And when your gut functions well, the rest of your body does, too. The Gut Authority is dedicated to helping people maintain a healthy gut. That’s why we say “Healthy gut, Healthy life”. Contact us to learn more about gut balance and how to restore and maintain it.